Shinola and Filson are expanding upon their partnership announced earlier this year. 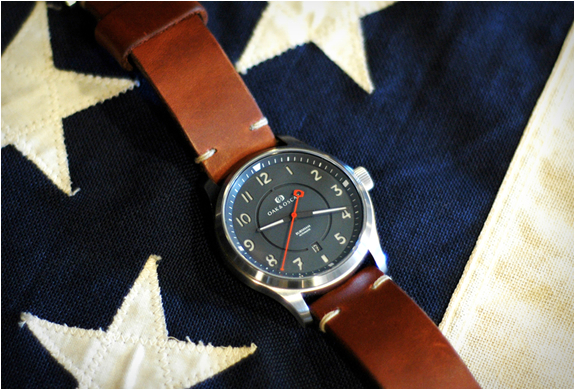 While Filson is famous for its rugged, American-made goods, they tapped Shinola to build their first line of watches. Now they’re introducing this new collection of watches called “The Scout”. The full product family consists of seven watches, including two case designs and 25 different styles as well as models with either a 3-hand date or dual-time complication. All these are inspired by the classic pilots’ watch. All watches are made by hand in Shinola’s watch factory. The dual-time model seen here illustrates the design language of the new line, with a large black PVD-coated stainless-steel case and a large dial to ensure optimum legibility which creates a more modern look. Additional design details recall some of the more iconic military pilots’ watches of the 20th century. Both the 43mm Mackinaw Field Watch and 44mm Journeyman Watch are available in multiple colors with multiple strap options. Each “The Scout” watch also boasts Shinola Argonite quartz movements (the Argonite 4220), curved, scratch-resistant sapphire crystal faces, and brass case backs bearing the Filson logo. 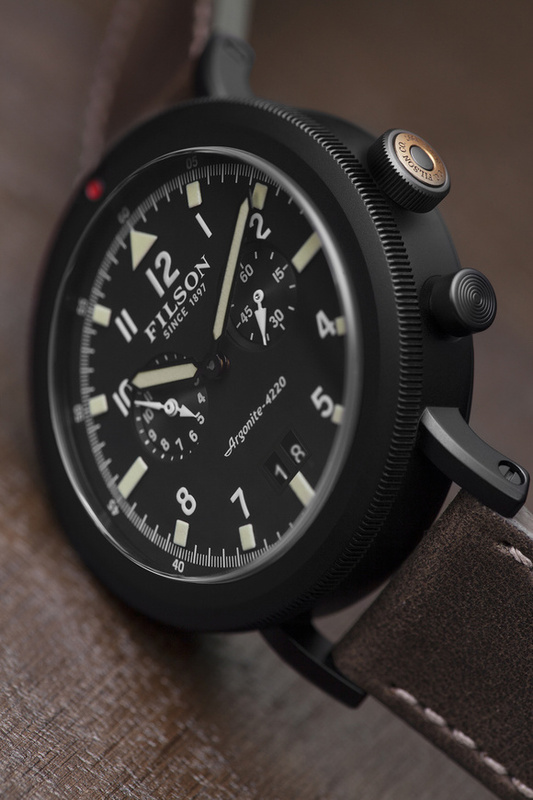 The new models will be available in Fall 2015 and can be preordered on the Filson website. Oak & Oscar is entering the American watch-market with the “Burnham”, a limited-edition piece that packs a lot of detailing into a straightforward design. The Burnham gets its name from the architect and urban planner Daniel Burnham, who left his indelible mark on the city of Chicago more than 100 years ago – the city of Oak & Oscar. The watch is an interesting study in dial design. The matte-grey dial is referred to as “non-militarized”, meaning great lenghs were taken to ensure the sandwich dial and each of the Arabic numerals didn’t come off as a stencil set of numbers. An orange second hand stands in contrast to the grey dial, with a prominent counterbalance that eclipses the logo printed on 12 o’clock. The date aperture at 6 o’clock features a color-matched date wheel, a detail rarely seen. Inside the Burnham beats a Soprod A10 automatic movement. It’s the new Swiss workhouse. The case is 42 mm and the lugs are designed with a curvature to ensure effortless wear.